25 year obsessive book reviewer. Office Manager and Web Designer . Loves rainy days and snow storms. Drinks too much coffee. Likes to cook and bake. Is afraid of pelicans and has a grudge against chickens even since a childhood trauma but loves ducks and adores owls. Email me if you think there is a book you think I should read and review! I was Here is written by Gayle Forman. I have actually never read any of her work in the past but after reading this book I definitely plan to read more of her work in the future. 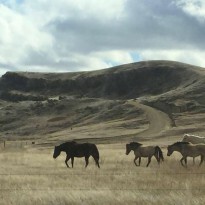 The type of story written about Cody and Meg is something I am familiar with. I struggled to actually start reading this book because I knew it would be difficult because of what it represents for me. Meg, Cody's best friend has just committed suicide. Everyone in their small town, Meg's family and friends and even Meg's new university roommates are shocked that she would do something so devastatingly final. Throughout the book Cody tries to make sense of why her vivacious, happy-go-lucky, full of life best friend would commit suicide. And also why Meg didn't talk to her. It doesn't help that may of the small town folks make many narrow minded and very hurtful comments about Meg and her family and even about Cody. Cody struggles to believe that Meg made the choice and searches for answers as to who pushed Meg into killing herself. As she pieces together Meg's last months, Cody meets Meg's roommates, friends, and love interest, Ben. Everyone she meets paints a picture of Meg that doesn't make any sense to Cody. More mystery. The book, as I have said is a hard-hitting subject for me because my best friend committed suicide 2 years ago. He struggled with life and I blamed myself for quite a while after. I really felt connected to Cody in the story because she also blamed herself for not seeing it and not being there for Meg when she needed her. When my best friend died I struggled to believe that one as full of life and so happy could take their own life. I had also struggled with suicide and depression very early in life and when I told Ben, my best friend of my struggles he told me I could always talk to him and suicide should never be an option when I had him. It was horrifying later on to find out he had struggled with the same demons and had not talked to me and instead took his own life. I, of course blamed myself for not seeing it just like Cody did with Meg. I won't give away the ending to the book but Forman does a superb job of tying up loose ends and ending it in a way that will have you in tears, both happy and sad. 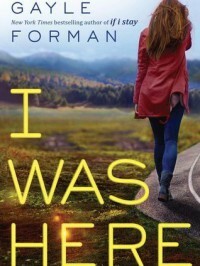 Check out I Was Here by Gayle Forman. I Never Thought My Fandom Feelings Could Ever Be Put Into Words! I had seen this book around for a while and had heard that it was well liked by plenty of people. I was skeptical that I would like it since it just wasn't something I thought I would like or even be able to get through. Reading the back of the book I didn't think anyone could ever put into words or really convey how much some characters, stories or fandoms really effect someones life. I have lived in a small town for a majority of my life and have had little interaction with people who felt the way I did about the happening in books. For example, Harry Potter was given to me when I was eleven and that was a time in my life that was probably the most difficult for me. I was bullied and my home life wasn't really ideal either. I realized that later on in life (25 years old and still Harry Potter obsessed) that Harry Potter was a role model for me in more ways than one. He was who I wanted to be. Someone who had friends and was loyal and brave. Who kept going even in the face of devastating loss and heartache. That he tried to remain who he was when people told him he had to be something else. That is where Fangirl comes in. I was just... there are no words to explain how this book made me feel. To anyone who has loved or been obsessed with a book or fandom or characters life, they just are so invested in this fictional world that it is a way to escape to let go of their lives even for just a short time, through words. This book is what put that feeling into context, into words on pages in a story. 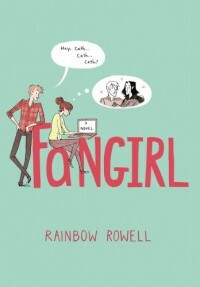 Even after finishing Fangirl I still feel the overwhelming emotional roller coaster ride it put me through. All I can say is that after reading it, I wanted to re-read the whole Harry Potter series just to relive the feelings of when I was a little girl again. That is what reading this book gave to me. The nostalgic feeling of when characters that effected me so deeply they shaped my life in ways I'm still learning about and also because even when I'm older they will always be there to remind me I'm not alone.